Do you need a professional carpet cleaner in Belgravia SW1? You can stop looking because you are at the right place. We at Magic Carpet Cleaning know how to clean your carpets to perfection satisfying even the most pretentious client. Come and check for yourself why we are No1 in London. For free qoute, call 0208 861 0979 or fill the form below to schedule service! 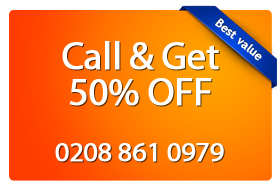 Why Choose Magic Carpet Cleaning in Belgravia SW1? Our cleaners user natural detergents and cleaning substances – completely safe for you and your family. We lead a policy of transparency in dealing with people who have decided to entrust us. We do not rely on hidden conditions and fees. Our teams are able to remove even the old dirt from your house. We offer 100% quality assurance as our staff would not leave your home unless you are satisfied with the result. If you need professional cleaning service for your home, we can recommend Steam Carpet Cleaning. This cleaning method is suitable for both houses and offices but is usually preferred by families for private homes. One of the main reasons is that it uses hot water which kills the germs present in the treated surfaces. This means that the main cause for allergies is gone and you have secured a healthier environment for your family. Whether you have children or pets, you are prone to allergies or you just want to thoroughly sanitize your home, the hot water extraction method is perfect for you. If you need professional cleaning of public spaces frequented by many people, we recommend Dry Rug Cleaning. Why Dry Rug Cleaning? Because it is a fast and highly effective cleansing method that not only completely cleans your office but also saves your time. The dry compound cleaning method does not use any water in the process of cleaning which means two things. First, your clients and visitors don’t have to wait for the textile floor to dry and second, your carpet will have a longer life because the lack of water prevents the formation of mold. Our employees are certified to work with chemicals of diverse origin – acid, alkaloids, etc. so you can rest assured they know their job. Whether it comes to wool, cotton, bamboo, coir, hemp, jute, sisal, nylon or polyester, the mighty team of Magic Carpet Cleaning will do the best they can to get you rid of dirt. All kinds of spots, pet urine, wine, food, chewing gum, chocolate, etc. just don’t have a chance with us. Call 0208 861 0979 and you will be amazed by the result. If your home, office or shop is located in Belgravia SW1, look for the best professional carpet cleaners from Magic Carpet Cleaning. We promise the best service done by the best team.